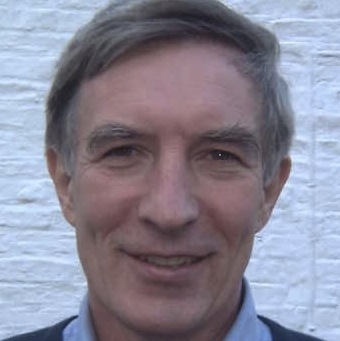 Richard G. Wilkinson is a British researcher in social inequalities in health and the social determinants of health. He is Professor Emeritus of social epidemiology at the University of Nottingham, having retired in 2008. He is also Honorary Professor at University College London and Visiting Professor at University of York. He is best known for his book with Kate Pickett The Spirit Level, first published in 2009, which claims that societies with more equal distribution of incomes have better health, fewer social problems such as violence, drug abuse, teenage births, mental illness, obesity, and others, and are more cohesive than ones in which the gap between the rich and poor is greater. Wilkinson's first book, Poverty and Progress was published by Methuen in 1973. He was a research student on a Health Education Council fellowship at the Department of Community Health, University of Nottingham and spent a year on a large-scale computer analysis of the possible causes of different health outcomes and social strata. On 16 December 1976, his article entitled 'Dear David Ennals' was published in New Society; at that time, David Ennals was Secretary of State for Social Services. The article led eventually to the 1980 publication of the Black Report on Inequalities in Health. He was also Senior Research Fellow at the Trafford Centre for Medical Research of the University of Sussex in 2001. Wilkinson retired from his post as a professor of social epidemiology at the University of Nottingham in 2008. He was awarded the title of Emeritus Professor. He is also Honorary Professor at University College London. In 2009 Richard Wilkinson and Kate Pickett founded the Equality Trust, which seeks to explain the benefits of a more equal society and campaigns for greater income equality.